New Clubhouse Opens in Holloway at Wyndham Forest! This past Saturday, HHHunt Communities opened The Hollow, a brand new, clubhouse in Holloway at Wyndham Forest. This exquisite new space features tons of indoor and outdoor gathering and social areas which complement the existing amenities in this highly sought-after Glen Allen community. 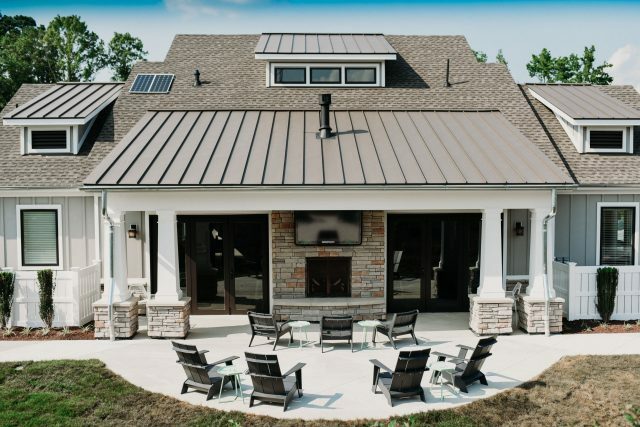 The Hollow features patio areas on three sides of the clubhouse, a double-sided fireplace, folding doors that open up the interior of the great room to access the covered patio area, a catering kitchen, and a small, private conference room. 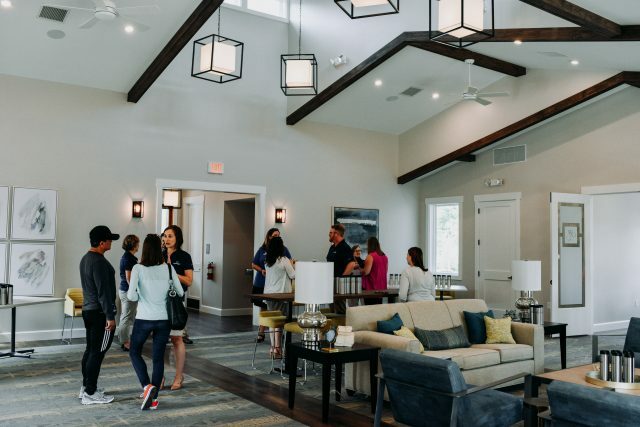 The stunning interiors of the large, expansive clubhouse help create the ideal gathering space for birthday parties, baby and wedding showers, anniversary and retirement parties, and private meetings. The state-of-the-art grilling stations on the patio are also perfect for a barbecue! 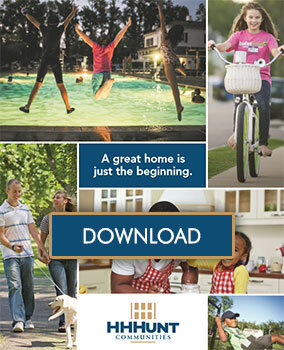 Holloway at Wyndham Forest has become one of the most sought-after new home communities in the Deep Run High School district. Combining luxury, convenience, and location, Holloway provides designer single-family homes and townhomes by LifeStyle Home Builders and HHHunt Homes. We believe it’s how you live that matters and strive to create meaningful experiences and places of great distinction for our homeowners. Learn more about Holloway at Wyndham Forest here, and stay tuned for more photos of The Hollow on our Facebook page!